When you look at Netflix’s earnings, it’s hard not to be impressed by the success of a company that began disrupting when that word was generally applied only to unruly students. MediaPost’s Thom Forbes spots the most telling stat in his earnings story: Of the 7.05 million subscribers it added in last quarter of 2016, 5 million were foreign. Netflix’s online part of the business launched in 2007, when only it and lonely pioneers like MLB.com were exploring the new frontier. Now, it is due to spend $6 billion on programming this year alone. Netflix not only is a success. It’s a phenomenon than can even take credit for the concept of binge-watching, which landed in the Oxford dictionary in 2014. 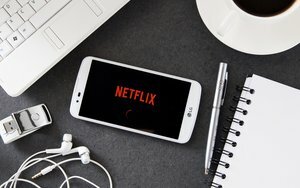 Its customers have an almost-Moonie like affection for Netflix; it has, by far, the most loyal customers in the streaming biz, according to Parks Associates. It then went on to list all the awards it’s won, though on that count Netflix seems better at getting to the big dance than it is at dancing. Still, Netflix pointed out, later this month it has eight original Netflix series up for awards and a total of 17 nominations. No network has more. Considering how long it took Showtime to even get close to HBO, Netflix’s prowess is remarkable. For CEO Reed Hastings, HBO can never be far out of mind, even though it is getting blurrier in the rear view mirror. In its earning report, Netflix went so far as to suggest that HBO will inevitably begin to offer its new series in one binge-watching serving because Netflix made it so popular. For both services, foreign growth is crucial. 2 comments about "For Netflix, There's Just A World Of Opportunity". Ed Papazian from Media Dynamics Inc, January 19, 2017 at 1:35 p.m. While I agree that Netflix has developed a large and loyal following of subscribers, its momentum in the U.S. is slowing and most of its subscriber gains are now made overseas. As for the viewing stats , Netflix generates about the same tonnage of time spent per adult on a total U.S. base as any one of the three original fully programmed broadcast TV networks---across all dayparts. It's share of total TV/SVOD viewing isr around 6-7%. If we take only the netflix subscriber base, this percentage rises to somewhere in the vicinity of 14-15%, which is fine, but hardly a dominant figure. The fact of it is that a typical Netflix subscriber devotes far more time to non-Netflix content---especially cable programs---than to Netflix. As regards that $6 billion allocated to new program content this year, we heard, recently, and it was reported on Media Post, I believe, that virtually all of the new shows will be "realiy programs". I understand that this is a cheaper way to go and reduces the risks of failure, somewhat, but are "reality shows" really what Netflix subscribers went to Netflix for? Aren't they getting their fill of such content from the broadcast networks andeven more so, the cable channels? John Grono from GAP Research replied, January 19, 2017 at 4:15 p.m. There was strong use of VPNs in countries which Netflix was not officially in (Australia was one of them). So it was quite common for a person to have a US account and use a VPN to avoid the geo-block. Now that Netflix is expanding and it is possible to get a local subscription and connection, maybe the overseas growth is cannibalising the US growth which may contain some unreported cancellations of US accounts accessed via overseas VPNs.